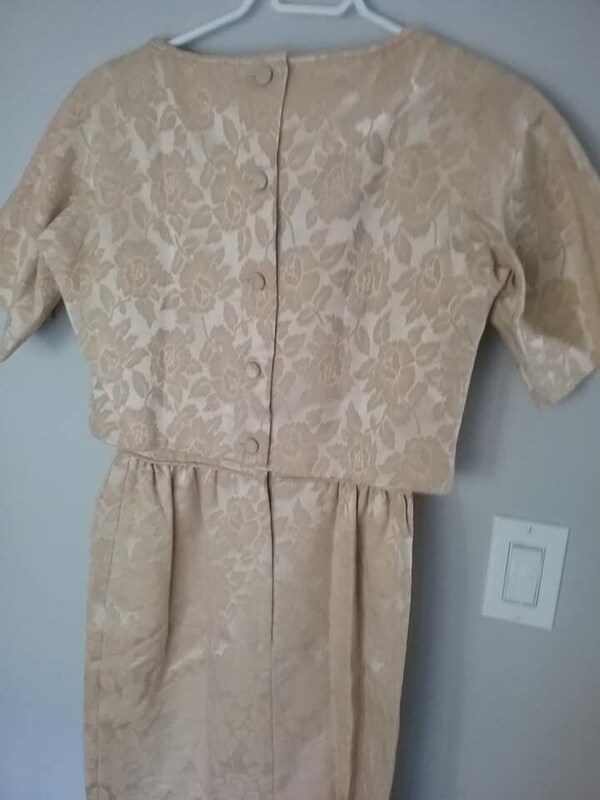 Women's Vintage Brocade Suit. 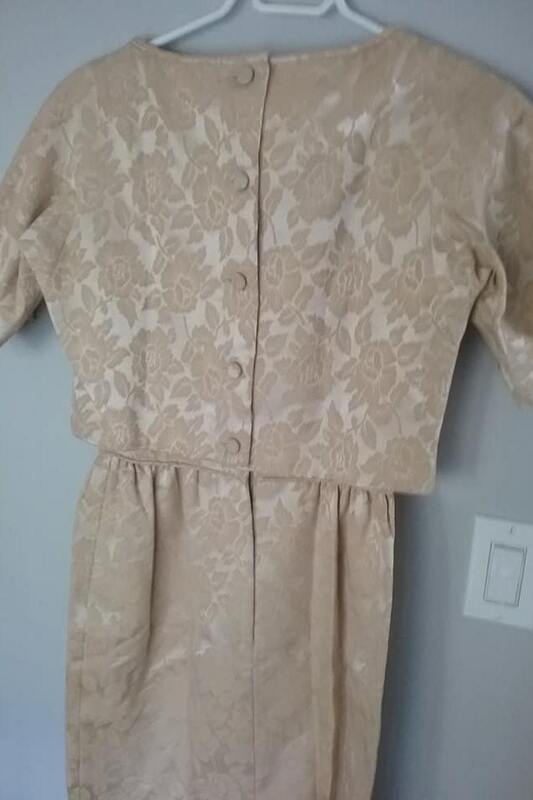 Vintage Ann Barry Jr, brocade dress and topper jacket. 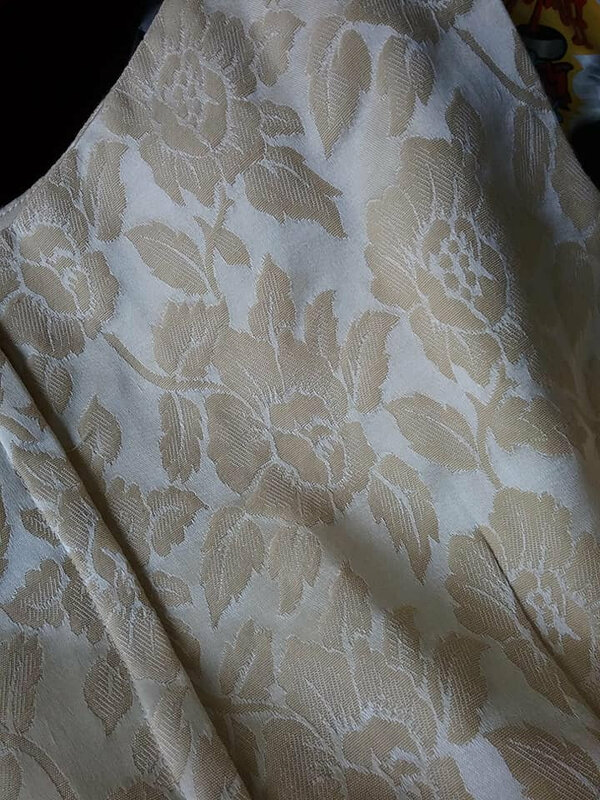 The beauty is in the details! 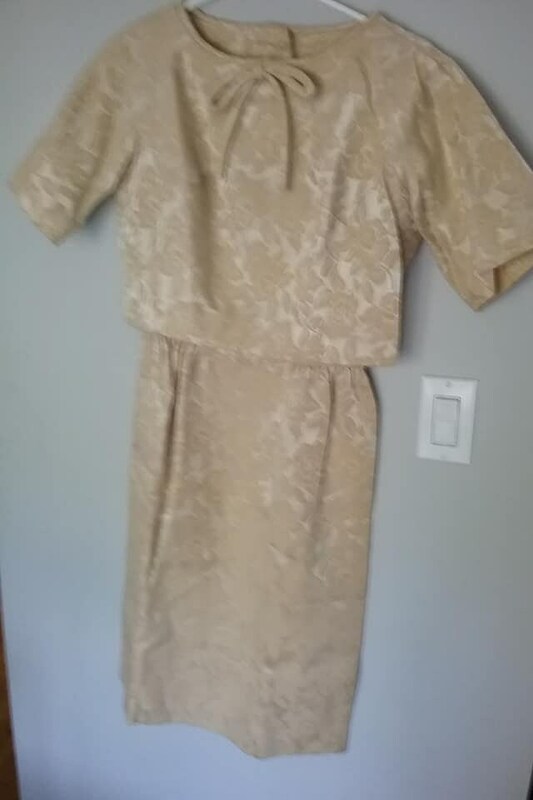 Beige/light gold brocade, the dress is lined with a light gold satiny lining. The sleeveless dress has a zipper back, faux 5.5" back slit, and rolled hem around an empire waist. 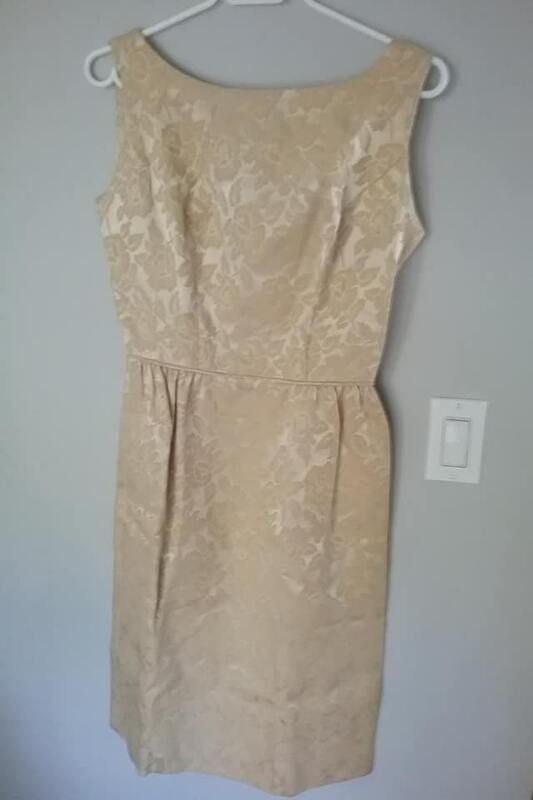 The dress has darts, and styled to highlight your figure. 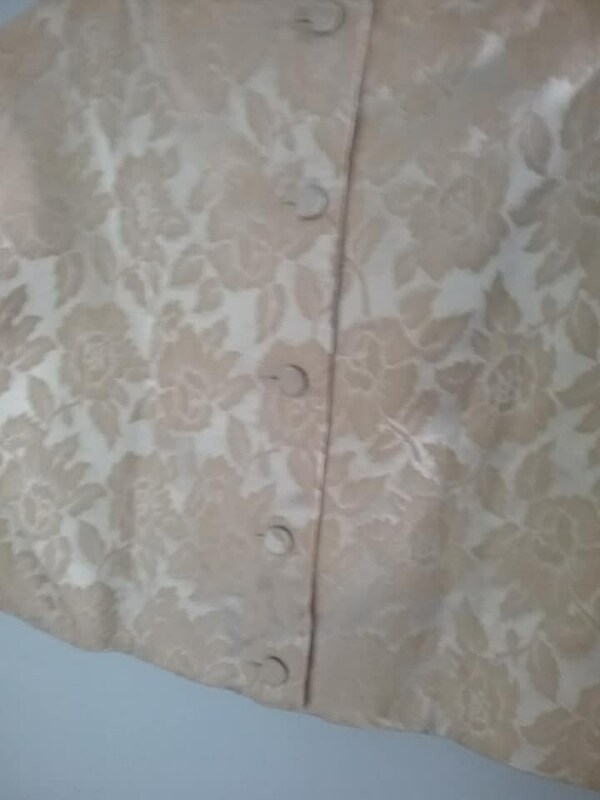 The jacket is made of same brocade, and is box style with a button down back. 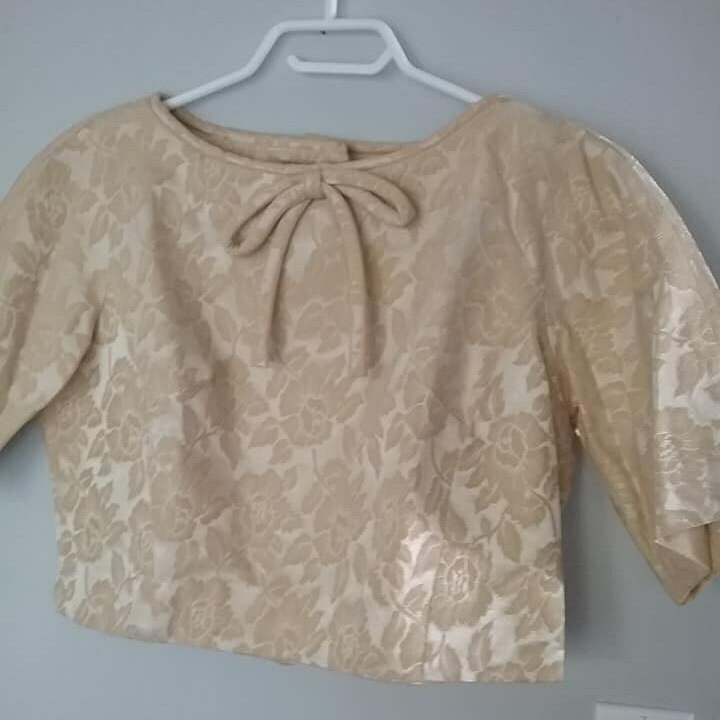 The front has a lovely, simple bow at the neck which has a rolled hem around a crew neck. 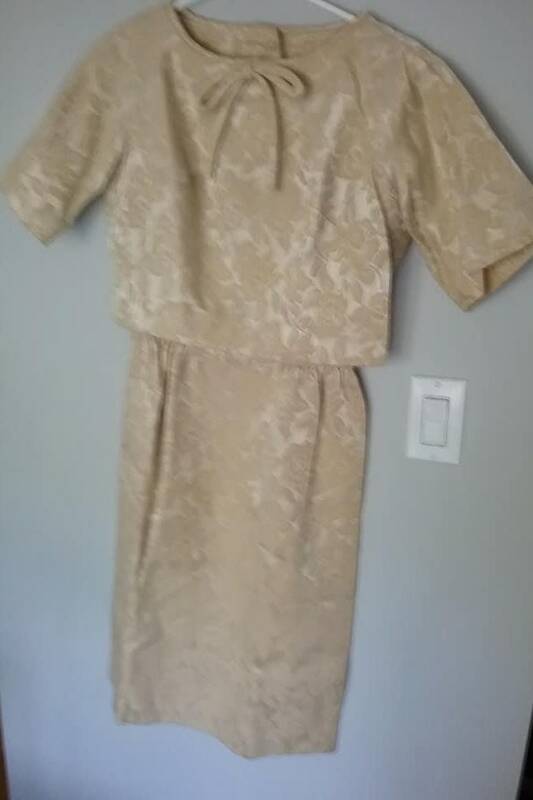 The sleeves are approx 9" long...this and the box style gives that tiny waist look, and feel. 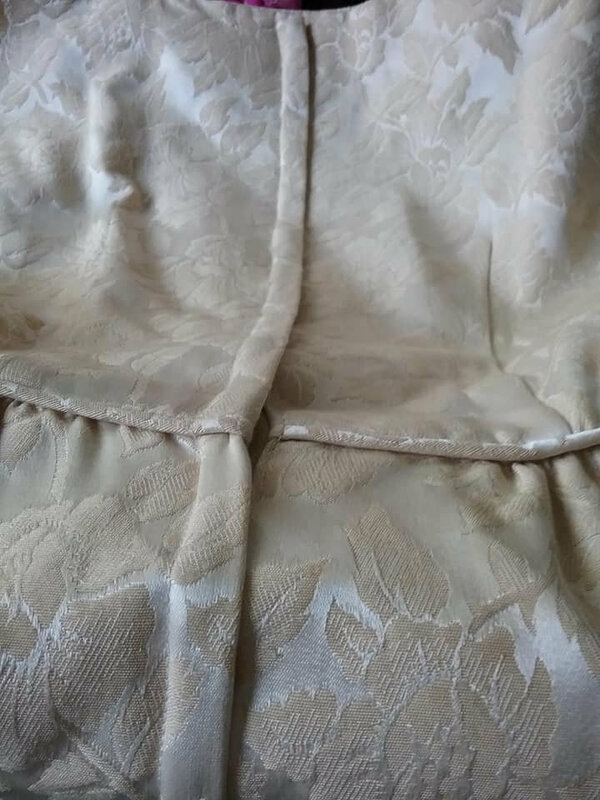 Measuring the outfit as a whole, the chest is approx 37", and the total length is 38.5" It is in excellent vintage condition. It is an outstanding example of the 60's.....its beauty is still brilliant after all these years. Design and detail that has lasted through decades....looks as beautiful today, as it did in 1963. Dare to wear........you will not go unnoticed!